Directions: The large flow in a small amphitheater. Description: The biggest ice in the area. 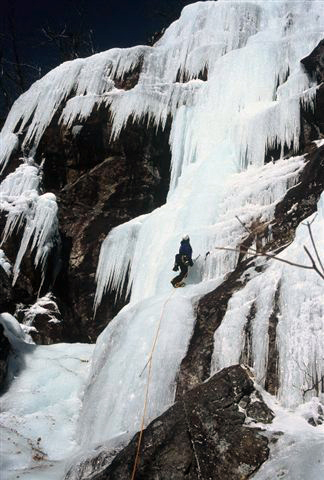 Pitch 1: Climb up the center of the flow then right and back left to the top. A direct line would be 4+. A long pitch if done as one.